An OPMA member made a donation to Sunnybrook Hospital on behalf of the OPMA. The letter of thanks from Dr. Kayssi from Sunnybrook has been reproduced below. The OPMA member who made this generous donation on our behalf wishes to be anonymous. Nonetheless, they know who they are and we want to thank them sincerely for their generosity. Thank you and the OPMA for your tremendous generosity in donating to Sunnybrook Hospital on my behalf. I realize that this was done by an anonymous donor on behalf of the OPMA so if you would kindly thank him or her I would be most grateful. I look forward to continuing our mission to bring podiatric services in Ontario to the 21st century and provide our patients with the care that they deserve. Warm regards to you and your family and best wishes for a very merry Christmas and a happy new year! A new TLC reality series- My Feet are Killing Me- features the patients and clinical work of two podiatists, Drs. Ebonie Vincent and Brad Shaeffer. 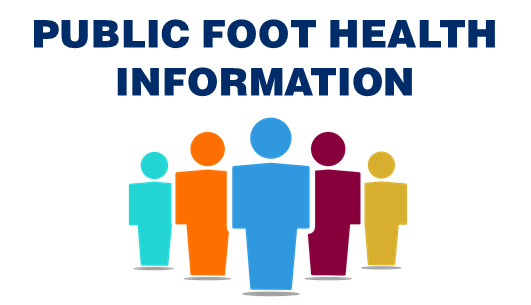 The program is an excellent an excellent platform to raise the awareness of podiatry to the American public. The show is scheduled to air in August.